Mobility is one of the most actual issues to research in Prehistory, in the context of a socially committed Archaeology. Here is the abstract for the new research project on Mobility for Perdigões enclosure that will be financed by the Portuguese Science Foundation, led by NIA-ERA and ICArEHB for 2016-2018. This project aims to appraise the intensity and the social, economic and ideological role of mobility and interaction in Late Neolithic and Chalcolithic societies in South Portugal expressed in the development of complex aggregation centers. Societies are based on interchange. 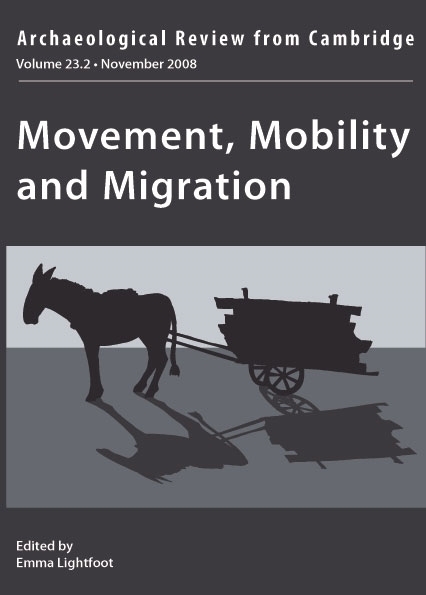 Mobility is, therefore, constitutive of society. This structural social role of interchange and mobility may assume many forms (from gift to regulated economic trade), it can be highly ritualized or almost totally desacralized, and address almost everything (persons, animals, objects, raw materials, ideas, beliefs, knowledge, ontological status, etc.). 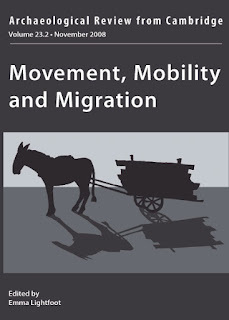 The development of more complex social organizations during Recent Prehistory generated the emergence of places that intensively acted as stages or landmarks for mobility and exchange. In this context, many Prehistoric enclosures (ditched, walled or palisade enclosures) provide all through Europe evidence that suggest that role. From those that can be interpreted as aggregating places, to those that seem to mark pathways or those that concentrate large quantities of exogenous items or raw materials, or even those that involve mortuary practices, enclosures are important contexts to approach the role of mobility in the social organization of Neolithic and Chalcolithic societies, traditionally considered progressively more sedentary. For the purpose of this research, a specific archaeological site, dated from the 4th and 3rd millennium BC was selected for its adequacy to deal with the issue: Perdigões (Reguengos de Monsaraz, Évora). It is a large (20 ha) ditched enclosure, with a long chronology (about 1400 years), with a strong background research that shows that the site has the archaeological data (several funerary contexts, abundance of faunal remains, abundance of artifacts and raw materials of foreign provenance) in quantity and in quality necessary to address the social role of mobility in these societies in the region. This approach to mobility and interaction will be focused in the physical and geographical movement of people, animals and artifacts, by establishing local and exogenous provenances. It is aimed to establish a regional and trans-regional network of relations and characterize the social, economic and ideological role that a large ditched enclosure like Perdigões played in it. By doing so, we intend to define the part of physical mobility in the development of the global social system of these communities and its impact in identity, social cohesion or generation of inequalities, economic strategies and territorial organization. Mobility and interaction will be established through isotopic analyses of 87Sr/86Sr (for human and cattle), paleo diets (for humans, through isotopic analysis of d13C and d15N), archaeometric studies of specific artifacts and raw materials (ivory materials, cinnabar, large flint blades, beads, pottery, copper objects) and identification of foreign faunal species (namely mollusks), as well as through more traditional typological approaches to material culture. 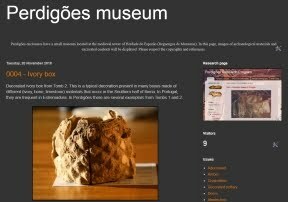 Materials, human and faunal remains and contexts from previous excavations in Perdigões will be used, but new specific features will be submitted to survey in order to enlarge the data base in terms of spatiality inside the site and in terms of time range. To analyze the performance of mobility and the network of interactions in their different components through time, a program of radiocarbon dating will be developed, which also aims to go deeper into the temporality of the enclosure. The results will provide a set of data that will allow the characterization of interaction and mobility at Perdigões through its living time and the construction of a theoretical model that tries to combine the role played by both variables in the socio-economic organization, ideological expressions and territorial fluidity of Late Neolithic and Chalcolithic communities in South Portugal. Finally, particular attention will be conceded to the public impact that an archaeological research project should always assume. Mobility and interaction are key issues in present social live and bring major challenges for the years to come at regional or more global scales. So, the project deals with problems that are well embedded in a present complex historical context, where new forms of social and economic mobility are being delineated and generating new social dynamics of adaptation or of resistance. By assuming an important actual social issue and try to analyze the role it assumed in the organization and developed of societies in a totally different historical context, the project helps to bring Archaeology closer to our current social life and to make it more socially meaningful and committed. Therefore a particular task was design to deal with the public display of the goals, developments and achievements of this research.